For generations, the women in my family wove their own dowries. 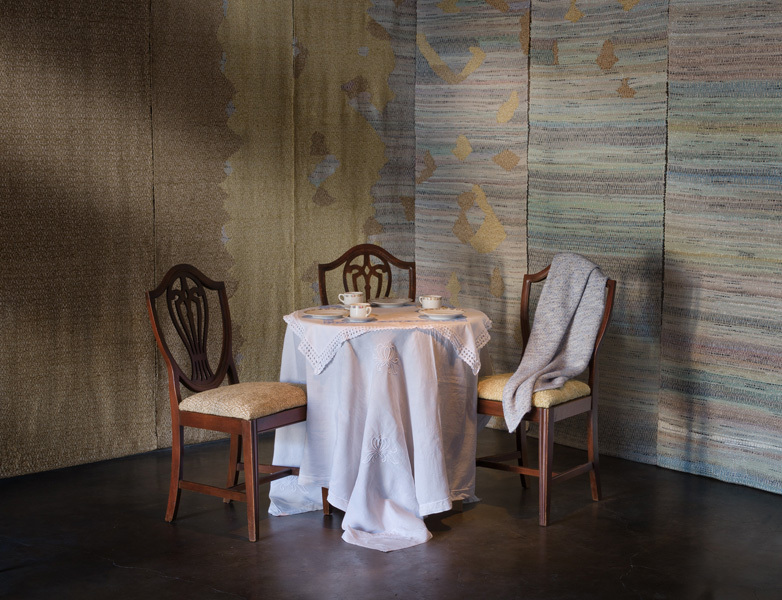 They grew and harvested flax to produce their own hand-spun linen. Many of my grandmother's and mother's handwoven linen towels, table cloths and even death shrouds were gifted to me. My generation did not learn to spin and weave, but in my forties, I took some weaving classes and, having gained some basic knowledge, experimented with modern materials like plastic bags as weft. Instead of homegrown fibers used by my ancestors, I recycle materials to create sustainable art weavings. This installation pays homage to the women in my family. It depicts "Kaffeestunde", the coffee hour. On any Sunday afternoon during my childhood, you could find three generations of my family and visitors spending the afternoon chatting, drinking coffee and eating cake together. The textured wallpaper of that room lingers in my memory as a silent witness to my family's traditions. In it, I reproduced the familiar overshot pattern, used by generations of weavers before me in a changing landscape, crossing the Atlantic ocean from northern Germany to the southern United States. Today, if you visit my house in Texas on Sunday afternoon, you will most likely be served coffee and cake from my grandmother's wedding china on an inherited table linen. 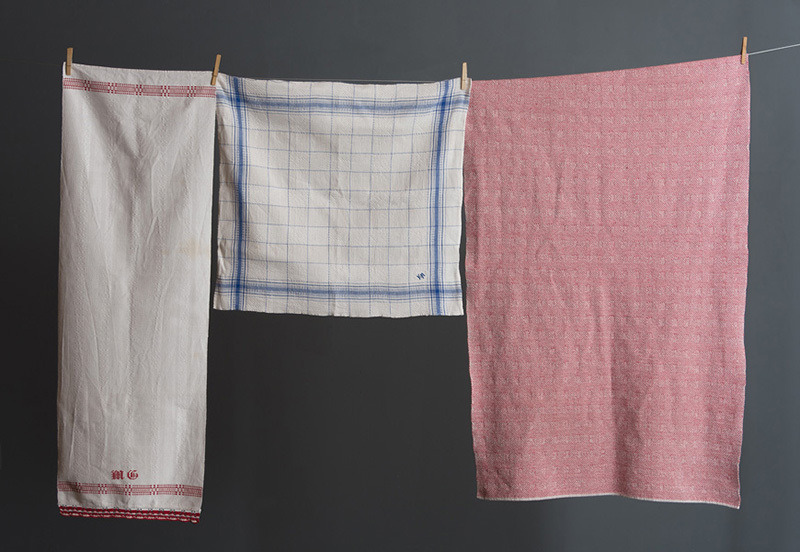 As a child, I hated linen towels because my job was to iron them. When I learned to weave, I wove myself a bath towel which I use every day. It reminds me of home, without the ironing.